Lemongrass is one of my favourite smells, and its also delicious in food! A lot of Asian dishes will call for lemongrass, or feature it as a main ingredient. Two of my favourites are Lemongrass Chicken Lettuce Wraps and Coconut and Lemon Sorbet (look for them in future posts). 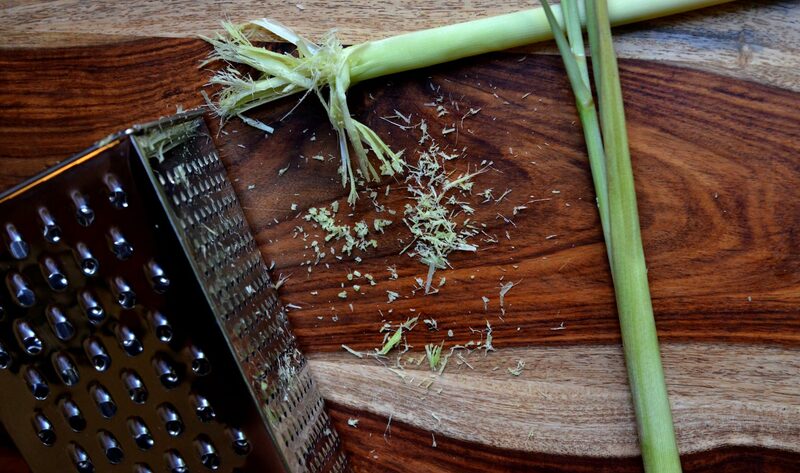 Lemongrass freezes really well, so why not have fresh grated lemongrass on hand all the time? First, find the lemongrass stocks. You can find these at Asian supermarkets, or on occasion at your local grocer. Once you have those, throw them in the freezer for at least 24 hours. Next, remove the outermost layer (or two) and slice off the top, flimsy part of the stalk. This will remove any dirty or broken layers and get to the more dense part of the stalk. Next, zest the lemongrass on a zester (I use the zesting side of my box grater). This will look a little strange, as the layers will pull apart, but you will get more as you get closer to the bottom. Place the grated lemongrass in a small tupperware and place it back in the freezer. Done! And ready to go for your next lemongrass meal.